If you can’t think of a reason to buy a compact digital camera anymore, Casio’s latest records your golf swing and sends the video to your smartphone. 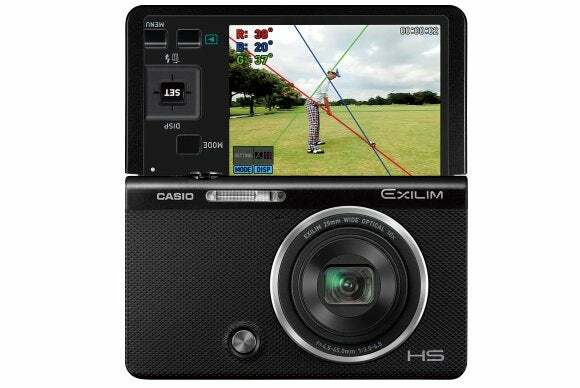 The Exilim EX-FC500S camera can help golfers improve their form without them needing to touch the camera itself. The camera has an LCD screen that can be tilted up 180 degrees so it faces front. When it’s placed on a stand, a golfer can then wave his or her hands to activate the record mode. When the camera is done recording the swing, it automatically edits the recording so only the swing is preserved. With another hand wave, the golfer can send the file to an Android or iOS mobile device via Wi-Fi for review. The EX-FC500S eliminates the hassle of going back and forth to the camera and controlling it manually, according to Casio. After shooting at 240 frames per second, it can produce ultra-slow motion videos that are played back at 30 fps. They include graphical swing guidelines overlaid on the footage to help users correct their posture. The camera includes videos featuring pro golfer Ryo Ishikawa demonstrating proper form. “Among others, golf is a sport where even amateur players care about their form and swing, so we though there would be a market for this kind of camera,” a spokeswoman for Casio wrote in an email. The EX-FC500S has a 16.1-megapixel image sensor and a 3-inch TFT LCD screen. It’s the sixth golf-oriented camera from Casio and the first to come with Wi-Fi. It’s designed to work with a golf club sensor from Fullmiere to better visualize swings. The Exilim will be sold in Japan from Nov. 28 for around ¥40,000 ($344). The company doesn’t yet have a plan to sell it overseas. Casio’s latest shooter is another example of how compact cameras need more bells and whistles to stay relevant as more and more people are using smartphone cameras. 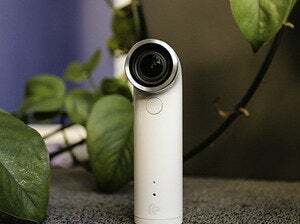 The company also introduced the Exilim EX-FR10 wearable action camera, which can split in two so that its screen and shutter can be placed in different locations. Sony’s selfie-oriented Cyber-shot DSC-KW11, meanwhile, looks like a perfume bottle, complete with Swarovski crystals. Sales of compact cameras have fallen sharply in recent years. Worldwide shipments of Japanese digital cameras without interchangeable lenses were down nearly 40 percent for the period covering January to September compared to a year earlier, according to the Camera & Imaging Products Association, an industry body based in Tokyo.